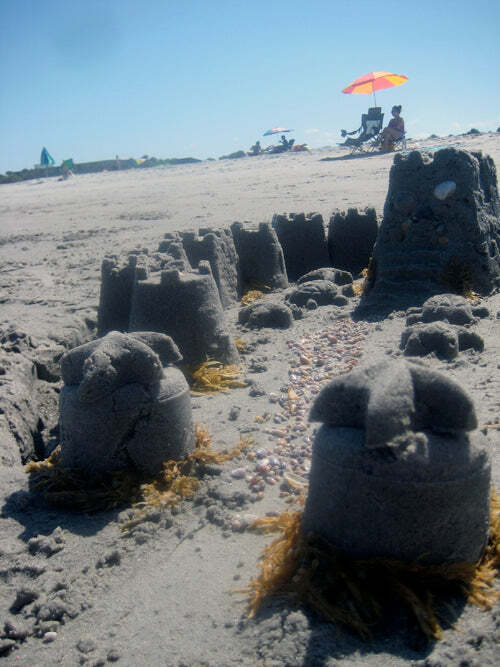 his awesome sandcastle is brought to you by Francesca, Tori, and myself. Decorated with shells and seaweed. I love the beach. When it's so hot in Florida, you can go to the beach and it may be hot, but it will be breezy and the wet sand will be cool and the water refreshing!